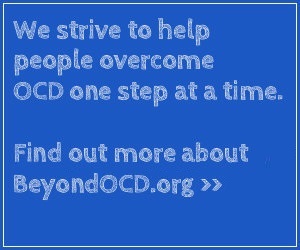 This video is intended to educate the public about the basics of OCD. It is not a deep look into the nuanced intricacies of the disorder, but rather a general overview of the signs and symptoms. Dr. Reid Wilson helps clients challenge their dysfunctional beliefs by reframing the nature of OCD through five simple guidelines. Dr. Allen Weg describes how storytelling is a successful strategy for treatment. Michelle describes her crippling OCD fear of contamination and how she began treatment to get her life back. Is Obsessive Compulsive Disorder Preventable? Dr. Helen Blair Simpson, M.D., Ph.D., Associate Professor of Clinical Psychology at Columbia University, encourages individuals to get treatment when symptoms are just starting, before someone’s life gets off track. Susan K. Schulman, M.D. explains how OCD affects children. Dr. Richard Bittar, neurosurgeon, discusses disorders that may respond to deep brain stimulation surgery. Dr. Michael Tomkins reviews symptoms present in compulsive hoarders and recommends harm reduction therapy to reduce risk. Severin, a teen OCD sufferer, improves in a UCLA Health outpatient program. A young man shares the OCD thoughts that he experiences from the moment he awakens. Fifteen-year-old Frank successfully undergoes treatment for OCD through an intensive five-day program at the Mayo Clinic. Dr. Stephen Whiteside, a Mayo Clinic psychologist, discusses OCD, phobias and anxieties and the treatment they require. Dr. Maureen Whitall of British Columbia discusses OCD symptoms and treatment. Scott’s struggle with and recovery from OCD. A “clutter buster” helps Amanda feel less overwhelmed by clutter. Commentary by Dr. Karen Landsman.